Your enteprise wish to optimize the cost of traveling of certain of your associates or you wish to welcome an important customer. 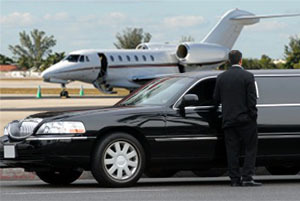 Partner of confidence, Chalut Limousine will help you to find the best solution. Our services will adapt to your imperative and will adopt the flexibility as a rule of conduct. We can organize with you a “roadshow” for an important customer, put at your disposition car fleet with chauffeur for an event, suggest cars with chauffeur all year round for your managers. Our associates will answer correctly to all your requests; we have been working for a long time with Quebec and international business who appreciate our know-how, our austarity measure and the peace of mind that we bring them. You desire some informations or a submission. Use our online contact form or communicate with us at 514-476-5466. It will be a pleasure to answer all your questions.